Note: To reduce duplication, I've listed the most recent occasion on which I addressed a particular topic. 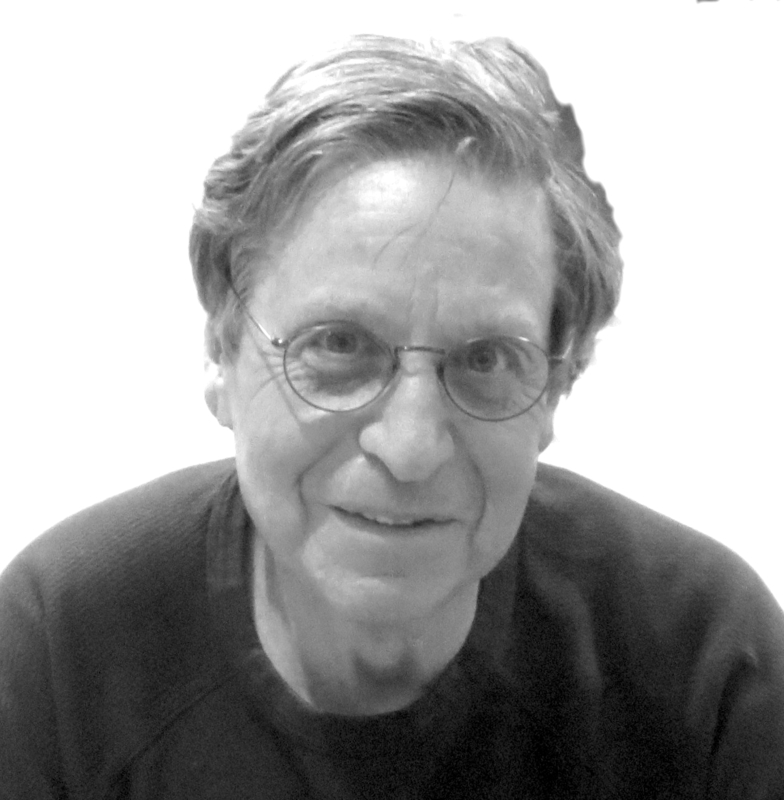 Information on John Fox and Sanford Weisberg, An R Companion to Applied Regression, Third Edition (Sage, available Oct. 2018). 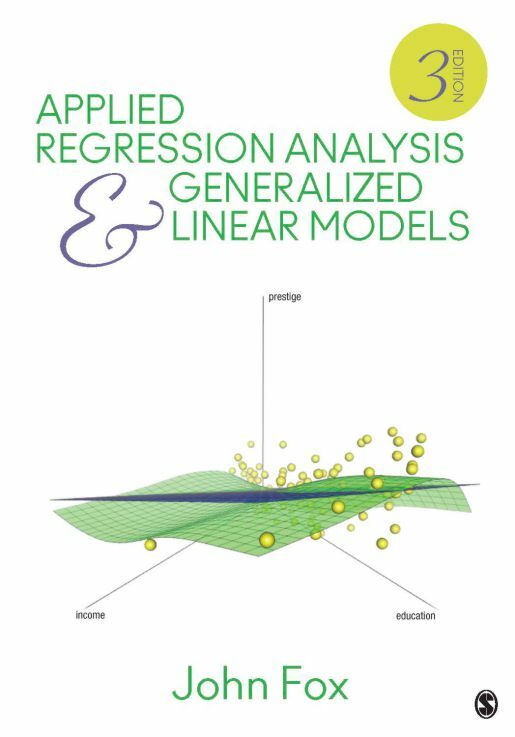 Information on John Fox, Applied Regression Analysis and Generalized Linear Models, Third Edition (Sage, 2016), including access to appendices, datasets, exercises, and errata. 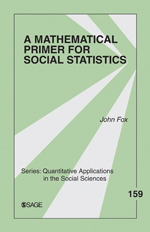 Information on John Fox, A Mathematical Primer for Social Statistics (Sage, 2009); errata. Information on Robert Stine and John Fox, eds. Statistical Computing Environments for Social Research (Sage, 1996). candisc (R package for canonical discriminant analysis), by Michael Friendly and John Fox. 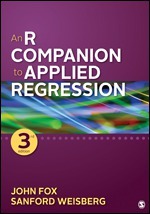 car (Companion to Applied Regression) package for R. Software associated with Fox and Weisberg, An R Companion to Applied Regression, Second Edition. effects (R package for effect displays), by John Fox, Sanford Weisberg, and Jangman Hong. heplots (R package for visualizing hypothesis tests in multivariate linear models), by John Fox, Michael Friendly, and Georges Monette. matlib (R package for learning linear algebra), by Michael Friendly and John Fox. polycor (R package for polychoric and polyserial correlations). 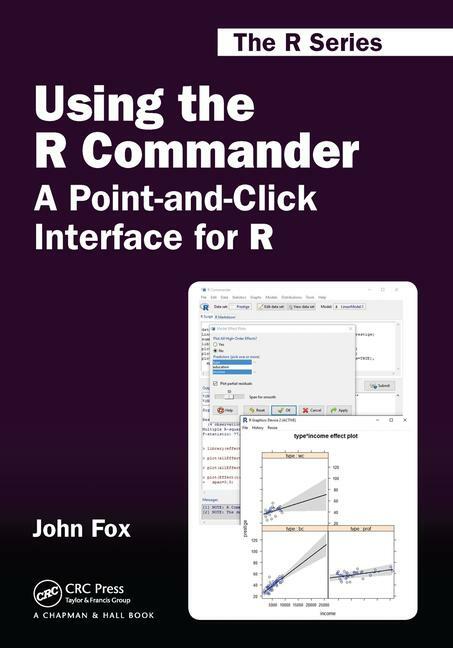 Rcmdr (R package, a basic-statistics graphical-user-interface for R). RcmdrPlugin.survival (Rcmdr plug-inpackage for survival analysis). sem (R package for structural equation modeling), by John Fox, Zhenghua Nie, and Jarrett Byrnes. Some additions to Cook and Weisberg's Arc software. Last Modified: 2018-09-07 by John Fox, jfox AT mcmaster.ca.